Is Salt, Coffee & Sugar Bad for Prostate Problems? What Food or Drink Can Calm My Bladder Spasms? Can Grapefruit Juice Cause Burning During Urination? 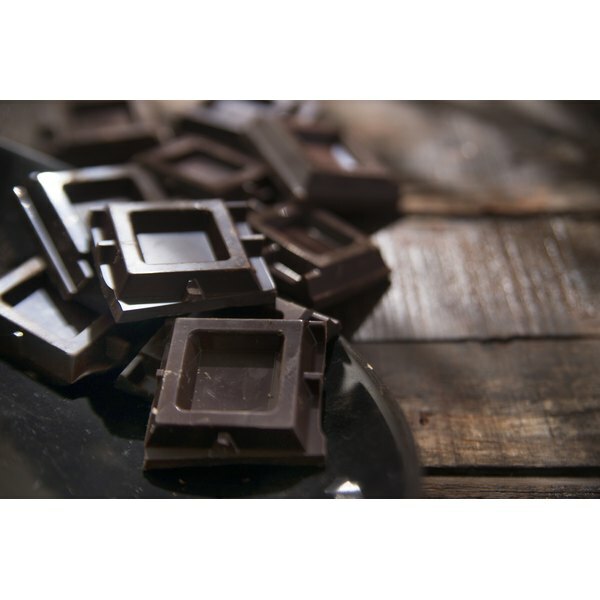 Does Dark Chocolate Irritate the Prostate or Bladder? Many foods and substances can irritate your bladder and make urinary or prostate problems worse. While milk chocolate is typically the most irritating, dark chocolate may aggravate your bladder as well, since it contains sugar, histamines and caffeine. If you have a urinary or prostate disease or condition, talk to your doctor about the dietary changes you can make to reduce the irritation to your bladder. Sugary foods can irritate your bladder. While dark chocolate contains less sugar than milk chocolate varieties, a 100-gram serving of dark chocolate, about 3.5 ounces, has 48 grams of sugar. Foods such as dark chocolate that contain a large amount of histamines can aggravate your bladder as well, especially if you have an already injured bladder. This is because histamines can cause symptoms similar to an allergic reaction, thereby irritating and causing pain in your bladder, which can in turn worsen prostate pain. Dark chocolate also contains caffeine -- that same 3.5-ounce serving of dark chocolate contains about 43 milligrams of caffeine. Caffeine is another substance that can exacerbate both bladder and prostate problems. This is because caffeine acts as a diuretic or bladder stimulant, and it can trigger the need to urinate more frequently. Increased urine production and output can in turn worsen any prostate problems you have. Caffeine is also a nerve stimulant, which means that it stimulates all of the nerves in your body, including those in your bladder and prostate. If you are currently experiencing bladder or prostate pain, stimulating the nerves can make it worse. If you are struggling with bladder or prostate problems and need to limit or eliminate dark chocolate from your diet, talk to your doctor about substitutions. Some people find that white chocolate is not as irritating as milk or dark chocolate, though it does still contain sugar. Many who have bladder problems find they can consume carob candies without aggravating their symptoms. However, beware of sugar-free chocolates or foods flavored with artificial sweeteners, since these can be highly irritating to your bladder. It is also best to avoid all sources of caffeine, including chocolate, while you are experiencing bladder or prostate problems. If you have recently begun experiencing bladder irritation or believe you may have a bladder or prostate problem, seek medical attention. Also discuss with your doctor any dietary changes you can make to relieve bladder and prostate irritation. Keep in mind that some foods, such as dark chocolate, may aggravate some people’s bladders, while other people may experience no symptoms. Your doctor can also help you determine what other foods or substances may be irritating your bladder.